Nothing is more serene or relaxing than a clean, safe pool! The heat is going to be finally warming us up here in the Safety Harbor and Clearwater area soon. With rising temperatures come the longer daylight hours, which brings on the busy time of year for pool maintenance. 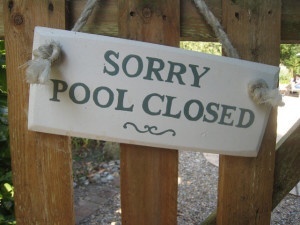 Pool and spa owners have to be ever-diligent to keep their pool clean. Here are some of the effects which require safety measures. Maintenance of a swimming pool requires the use of chemicals, some of them extremely hazardous. Improper exposure to these chemicals can result in long term health injuries to a child or an adult. It is essential that the drain cover is Pool Safety Act compliant. Also, vacuum ports in your skimmer or the wall of your pool should also have a safety latch cover. These are incredibly easy to install. We would love to do that for you. Bad weather or a windy day can leave some surprises in our pool. Often, we will find branches,leaves, or even building materials in the bottom of the pool following a storm. Also, small animals or rodents can sometimes find their way into the pool or skimmer basket. If this happens, don’t allow anyone to go swimming. Safe removal includes the use of disposable gloves. According to the CDC, the animal should be completely wrapped, bagged in a trash bag and disposed of in the dumpster immediately. Keeping your pool clean will promote the safety of you and your family’s health. We can help. Call us and let's talk! Dog Days Pool Service is a pool service company serving Clearwater, Safety Harbor, and all surrounding areas. We offer pool cleaning, maintenance, troubleshooting and more and would love to hear from you! (727) 791-6012.